The cross. We see and recognize its power even printed as words on a page. An instrument of death that mysterious contains beauty and life. But how? How can such a tortuous means of death bring life? In asking this question, we are really asking, “How can God transform evil, rebellious people like you and I, and make us acceptable in His sight?” The cross. You see, God reconciled sinners to Himself through the blood of the cross, as we read in the first chapter of Colossians. And as Isaiah prophesied, there could be no other way for this reconciliation to take place other than in the cross of Christ. And this happened for us, when we couldn’t have been farther from God. We stood as His enemies – spiritually dead – and then we murdered His one and only Son. Yet amazingly, in a mystery beyond our comprehension, that is how God made peace for us and with us. The cross. We can draw near to God, or as the author of Hebrews says, boldly approach the throne, because of the very act that pushed us the farthest away from Him. And so today we rejoice, because God did not just save us from our sin, but He saved us with our sin. And he did not just save us with our sin, but with our worst sin. At the cross. The worst sin imaginable – crucifying Jesus Christ – is actually what makes our sanctification possible. In the greatest of mysteries, we realize that we are actually saved by the very thing we need salvation from. The cross. 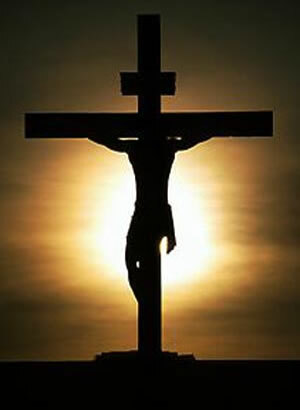 This is what makes the mystery of Good Friday a sorrowful, yet blessed day. A day that a vile act was committed, yet we call the day good. A day of darkness yet filled with inexplicable light and hope. What an amazing God we serve that can work even the hatred of those who love Him for our good! It’s the mystery of the cross. Awesome God in Heaven, I thank you for the cross. I can’t imagine the sacrifice you made in sending your only Son, Jesus, to the cross to die in my place. Without the cross I am nothing, and yet with it, I have gained everything. Thank you for saving me from our sin and crediting Christ’s righteousness to me – that I can now be known as son of the King. Amen.